Pretend play is one of the only areas that I find myself disagreeing with Montessori methods. Montessori discouraged the use of fantasy play and books in younger children. She felt that it was in the child’s best interest to have them form a strong basis in reality before introducing more abstract thought processes (Maria Montessori felt this was around 6 years+ | the second plane of development). This includes things common in early childhood – talking animals, and pretending to be someone else. But pretend play, I believe, is crucial to early development and natural. 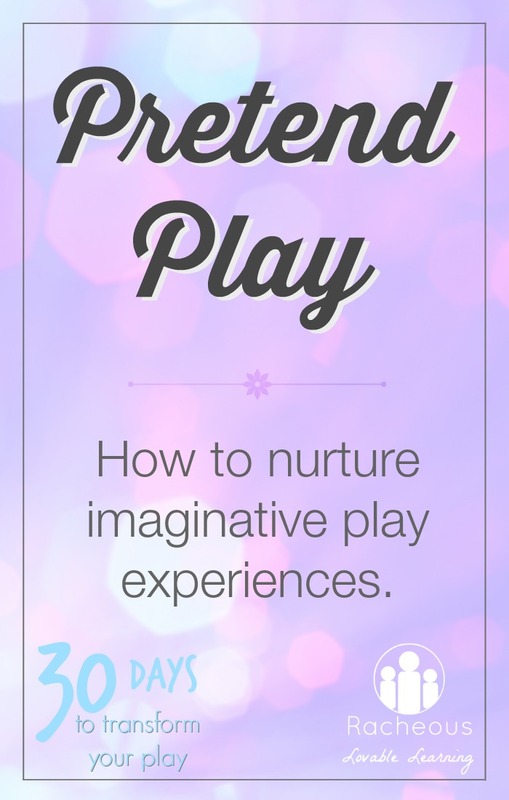 There are so many benefits to pretend play – social and emotional development, language skills, and many learning opportunities. The two main types of pretend play are small world play and role play. When it comes to nurturing pretend play, not a lot is needed in the way of resources. The more open-ended the materials and toys they have are; the greater the imaginative resources the child will have to draw on. Yes, time. Time for free play. Want nothing time. Play spaces that facilitate involved and imaginative play. Space to move and create. While I think any kind of pretend play is great, personally I would rather most of my child’s pretend play came from meaningful, memorable real life experiences (which they can therefore draw upon and explore later through play). Recently I realised that a lot of Cameron’s pretend play was centering around movies that he had watched. It was a wake up call that reminded me to limit screen time. My children get many great opportunities for memorable experiences but they were being drowned out by the novelty surrounding a Disney movie. For example, Cameron pretended to be a fire fighter a lot after our tour of the local fire station. Similarly, Cam’s interest in soccer stems from going to real games with his Dad. He then pretends that he is playing a match at home and will even bring me pretend trophies and make up names for different teams. His current interest in birds and the play surrounding it comes from witnessing and researching the birds in our yard and our local nature centre. Family figures: Dads, Mum’s, children, babies, Grandparents. People in various roles: fire fighters, police, teachers, doctors, construction workers, farmers, athletes, astronauts. Fantasy figures: superheroes, aliens, royalty, wizards, witches, fairies, gnomes, pirates, dragons, knights, dinosaurs. Animals: pets, farm animals, wild animals, reptiles, ocean animals, arctic animals, insects, and birds. Transportation: cars, trucks, motorcycles, construction vehicles, emergency vehicles, trains, airplanes, boats. Nature or imitation natural items. Don’t forget having writing and drawing materials readily available too! I prefer re-purposed real tools when possible, thrifted materials and open-ended items: Old clothes, thrifted dress ups (costumes, masks, wands, etc), shoes, hats, purses, fabric pieces, scarves, blankets, belts, telephones, keyboards, typewriters, play silks, bandages, slings, kitchen items. 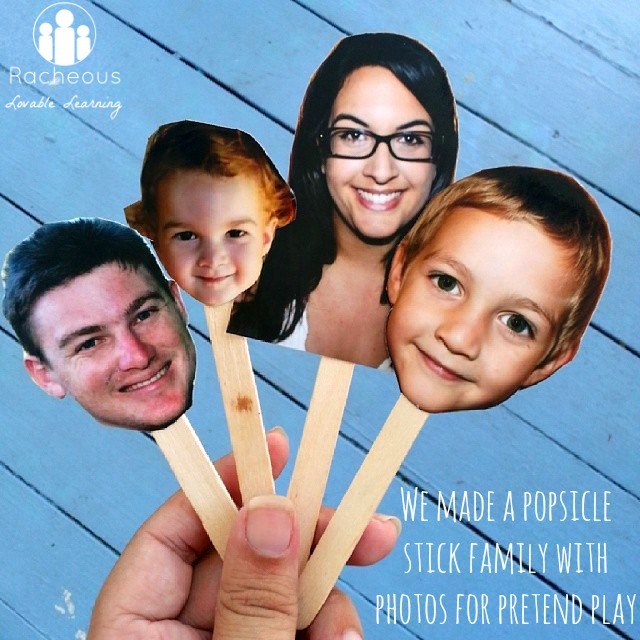 Consider what could you re-purpose, thrift or add to your pretend play set ups which reflect your child’s interests? Could you rearrange your play space to create a larger area for your child to create? What kinds of meaningful, memorable real life experiences could you provide for your child to draw upon and explore later in pretend play? As always, please share your task photos and inspiration (no matter what day in the series!) on Instagram with the hashtag #30daystyp and/or on my Facebook page. Today my daughter helped me sort some things… she found some items I was selling at markets and amongst them was the ‘wee wee tee pee’… a conde shaped fabric lined with fleece to pop on a boy whilst changing!! She didn’t know what they were nor did she ask… instead she said, follow me mum… I followed and we went to her room where she requested me to pull the vintage suitcase out which stores her dolls! She set them all up for a fabulous birthday party for Rapunzel… complete with a party hat each… yep, the tee pees!! :) We had a wonderful party with food, dancing, games etc… a fabulous afternoon of child led pretend play. I loved seeing the magic unfold before my eyes! !